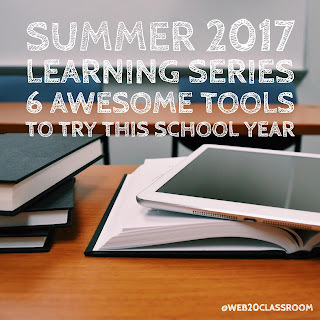 For the next several weeks I’ll be sharing posts that you can use for your summer learning. School may be out for many but the learning we do as educators can last even outside the classroom. These posts will take us through Twitter chats and how you can participate in real time or whenever you want. Next we will examine some ideas on how to get the most out of any conference you attend this summer or beyond. We will then move to some non-educational books that you can use to grow as a learner and a professional. From there we looked at Formative Assessment and how easy it is to do today. In the last post I gave you some ideas on how to better engage parents this upcoming school year. Finally we will finish the series by looking at some new and exciting tools to try in your classroom. Each post will offer up some basic information along with several learning challenges you can undertake. Happy Learning! I’ve done a great deal of traveling this summer, working with districts on School:Home Communications, technology planning and more. And every school and district office I spend time in the scene is the same. Hallways lined with full and empty boxes of new laptops, Chromebooks and iPads that will ultimately end up in the hands of teachers and students. As students prepare their notebooks and book bags, and teachers prepare their classrooms and lessons, looking at all this new (or existing technology) one could be thinking to themselves what do I do with all this stuff? How do I integrate this technology seamlessly yet effectively to enhance student learning? 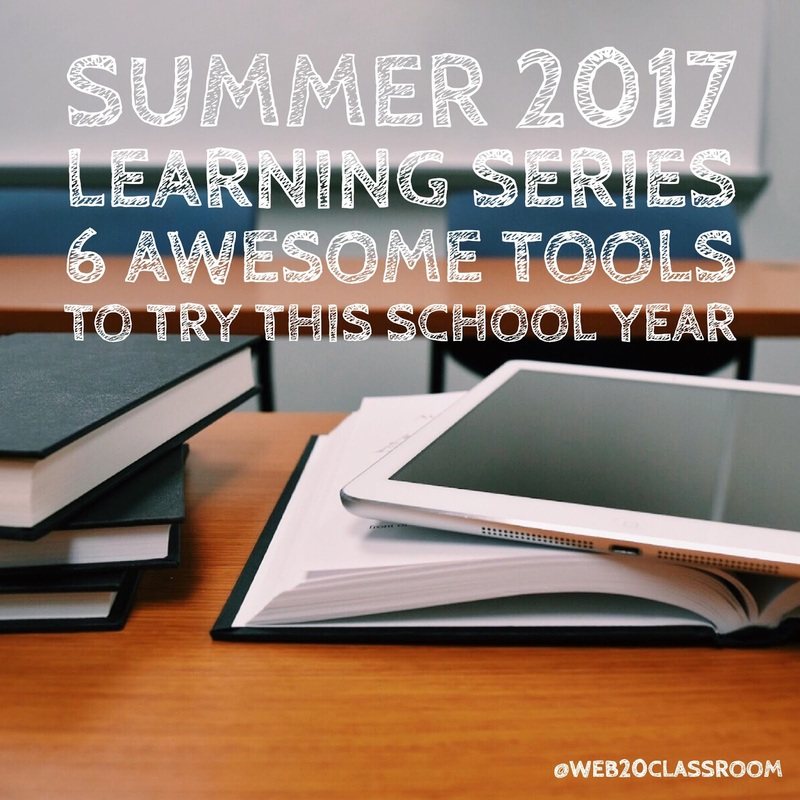 There are so many new and exciting tools, apps and sites to discover and use throughout the course of the year. Some, when you look at them, seem great but don’t really offer any substance. While there are many more that go untalked about because they don’t have a large Twitter following or are just brand new. What are the new (or new to you) tools you can use this school year to get the more out of those devices but most importantly, what will impact student learning in positive way? Here are 6 tools you can use throughout the course of the year to make a difference in your classroom. I became a fan of Flipgrid after a conference I attended earlier this year used it before the conference to capture what attendees were excited about and afterwards to share what they learned and how they would keep the learning going. Flipgrid is a video capture app that can be used for things like pre-assessment, sharing what we know, formative assessment, and group conversations. Simply create a free teacher account, create a board and invite students to discuss the topic with a recorded video, text or link. No accounts are needed for students as everything is done through a code or link to the board. Here is one I created (that I would love for you to add to) on summer reading. You can also check out this post to learn more about what you can do with Flipgrid. This is one of those apps that once you use it you will wonder what you did without it. Available as a free app Recap allows students and teachers to simplify the formative assessment process. Students record a short video using their device and then send it to the teacher. The teacher can respond via a video or other comments. Where I think this app really excels is for professional development. Imagine being able to deliver PD and know, in the moment where everyone is in their learning. We can then change instruction on the fly, modeling what we’d do in the classroom. The whole time keeping an evolution of the learning process. I am a proud Recap Pioneer, a program that advocates for the use of the product in schools. Check out this post to see what all is possible with Recap. I’ve been honest in the past about how I don’t think Flipped Classrooms are necessarily a good idea. That said, using video in the classroom to enhance student learning can be a great idea. Odds are you will assign or use video this year for students. Why not create an interactive lesson with it? That’s where EdPuzzle excels. Content doesn’t have you come from just YouTube. You can use a variety of sources, even uploading your own video. Then you can add check points along the way to ensure students are aligning their learning to your outcomes. As a teacher you can see exactly what student responses are and keep track of everything. It’s a great app to use to do more with those videos we use in the classroom. Here is a great post that outlines how to use it and what you can do with it. Of all the tools and resources on this list, Book Creator is the newest to me. I was introduced to it by my friend Shaelynn Farnsworth. When she was describing it to me I was getting excited about what could be possible. This app does what it says. It takes the rich content that students create, videos, text, images, and audio to create an interactive book. In the English classroom create a Slam Poetry Book. In the social studies class take that boring report about a country and make an interactive travel book that goes deep. The list is really endless. You could even use it to create a digital portfolio that students can show what they know throughout the school year. Available as an app or a Chrome App you can use Book Creator on nearly any device. Check out this post for more useful ideas and resources. I’ve been advocating for the use of screen recorded video in the classroom for a long time. The possibilities for students to demonstrate what they know and for educators and leaders to get back time in faculty meetings are truly endless. There have been several programs I have tried and it wasn’t until I landed on Screencastify that I finally found what I was looking for. Available as a Chrome App it’s so easy now to record a webpage for a walkthrough or the desktop for something more. You can even capture your own video and sound. All the recordings go into Google Drive where you can easily share or embed. If you spring for the Pro Plan (which I highly recommend) you can even edit your videos right in Google Drive. Snapchat is one of those apps that most know about but struggle to find a use in the classroom. I argue is the perfect app to capture those wonderful stories that happen in the classroom everyday. The thing is, not all of those stories need permanency. And since stories in Snapchat only last a short time, it can become a great app for sharing. Using it also helps to show that apps like that can be used for something positive. Using a mix of images and video along with filters and stickers, you can share all those great things that happen every day. Check out this post to see all the other ideas you can use Snapchat for. I have 2 challenges for you as you start school this year. Commit to trying to use at least one of these apps in your classroom this year. Learn it well, examine the possibilities, try and fail then try again. The second thing is to share your experience. Send a tweet, write a blog post, lead a PLC meeting, share in a faculty meeting. Do whatever you can to share your learning, not only with these apps but everything you learn this year with other educators. 6 Areas of Development For Tech-Savvy Teachers.